There are a couple of ironies in Sara Brace’s life. 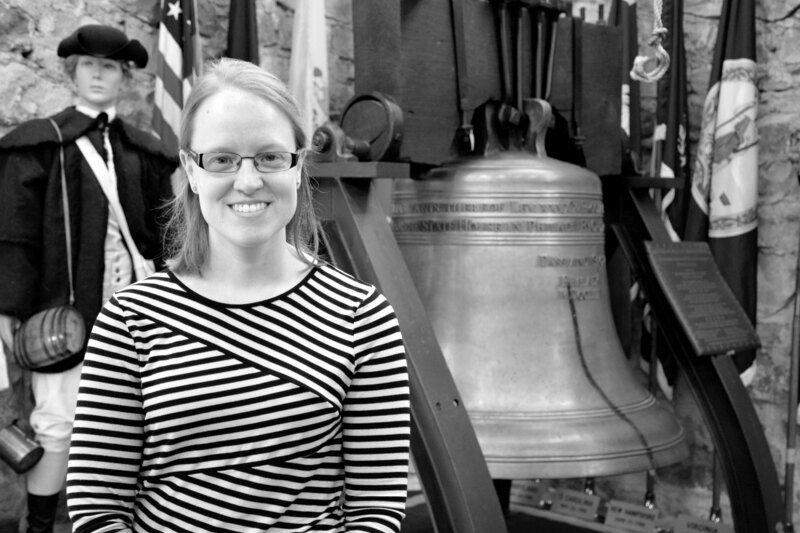 She’s executive director of the Liberty Bell Museum in Allentown, but says “I’m not a ‘date’ person,” when it comes to historical markers. And how does she wind down from a busy schedule? “I bake,” says Brace, 32, who was appointed the institution’s first executive director this past June. To many, baking is an exacting art, not exactly a way to relax. Either at work or at home, Brace’s schedule is full, helming an unusual museum, which is interwoven with the story of Zion’s United Church of Christ. It traces its roots to the 18th Century. During the Revolutionary War, several copies of the Liberty Bell were hidden on the site, so they would escape being melted down by the British. In 1962, the state of Pennsylvania entrusted the church with a replica of the famed bell. House of worship then joined house of history. Brace sums up her job as doing “the day-to-day things” (she often answers the phone herself) but sums up her work as “a normal work day.” Living in central Allentown with her husband, Geoff, she is the mother of Isaac, 5. So home isn’t always a haven of quiet, but Brace does find peace in classic films of a certain kind. “I love Disney movies,” Brace confesses, adding that the original 1951 animated version of Alice in Wonderland tops her list. Brace obtained her master’s degree in academic standards at DeSales University and obtained her bachelor’s from the University of Pittsburgh. The Lehigh Valley has always been special for Brace, especially where she lives now with her family. “We love city life,” Brace sums up. While Allentown faces the 21st Century, Brace admits one link to the past that isn’t Revolutionary War-era history. Her thoughts turn serious when asked to describe her outlook on life.